Some novice aquarists are faced with such a situation: recently replaced water suddenly starts to make a whole bunch of unpleasant odors. The solution to this problem depends on the cause of the stench, and outputs may be several. 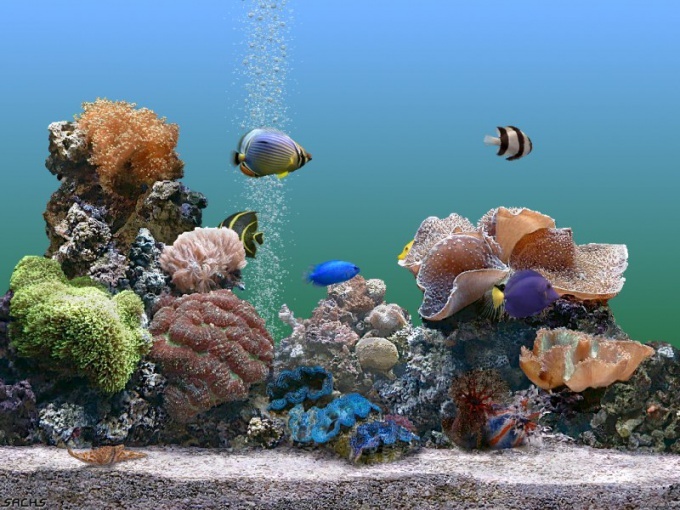 The first thing you can do is to again thoroughly wash the aquarium and everything in it is (stones, shells, decorative locks, houses, etc.). Thoroughly rinse the inner glass, as even if at first glance they seem clean, they may still remain slippery deposits from the water. If a few days later from the aquarium again, unpleasant smell, need more details to look for reasons. First, determine what kind of smell comes from your aquarium. If he smelled a little like Tina or swamp, unable to calm down. This fragrance only means that with him and its inhabitants all right. Real aquarium and have to smell the river. If you feel all other unpleasant odors – like rotten eggs, onion or garlic you need to take drastic measures. The smell of onions can produce some aquatic plants. For example, if your aquarium live Cryptocoryne, you may receive the smell. In this case, add a few bushes of ambulia, a little hornwort, and a few bushes of Helianthus. An unpleasant odor should disappear. The cause of bad smell can be impurity that accumulates at the bottom "reservoir" is a product of fish waste and uneaten food. If the tank is too big and wash it completely is not possible, just draw sifonki of the soil. It uses a special fixture in the form of a hose with a tip by which water passes, taking with them all the accumulated dirt. Together with sifonki of the soil necessary to carry out a process of partial water changes. This will also help improve the atmosphere and remove substances harmful to fish. This should be done twice a week, to change it from 20 to 30% of the aquarium water. You can use ordinary tap water but must to defend during the day. Determine whether enough fish of oxygen. For this view, they do not swim close to the surface, gasping for air. In this case, you need to buy a good air compressor that should work, providing good aeration.